Gun shows are held in the Shrine Pavilion. Here you'll find pistols, rifles, ammunition, knives, holsters, scabbards, telescopic sights, laser sights, nostalgic signs, cell phone cases, sharpening devices, men's and women's accessories, gifts, and other items of interest. Admission is $5 for adults, children under 9 are free.*BUY-SELL-TRADE. 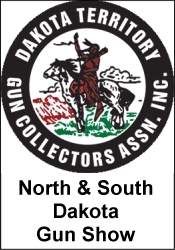 New - Used and collectible guns. *Vendors and private collectors*Several harder to find items*Great for the whole family*Plenty of free parking*Food concessions on site.Vendor contact: Mike Kingemail: hp.prophet@alaminshriners.comphone: (361) 696-1585 *Proceeds are for the benefit of Al Amin Shriners activities. Payments are not deductible as charitable contributions.